This is my second post in the Magical Monday series of inspirational stories aimed at motivating us to bring out our best on the first day of the week! Today I chose to write about a story of friendship and humanity highlighted by the inspiring gesture of a Brigadier in the Australian Army. Brigadier William Sowry, 52, was posted to india for training in the year 1994. Here he met his friend Major Mohit Whig who was coparticipating in the training. William Sowry was a young major in the Australian Army at the time and developed a close bong Whig and his family. After a year of training in India Sowry left for Australia and Whig was posted to Kashmir, a disturbed area of India which has infamous for insurgency and militancy.Whig was posted to the Kashmir Valley for counter insurgency duties. On 4 June 1997, while on a patrol, Whig along with three other soldiers was killed by a land mine. He left behind his wife Tina and two young children, Zorawar and Fateh. A few years back Sowry got in touch with Whigs family through the social networking and learnt about his late friends younger son who was suffering from Spina Bifidacongenital spinal disorder that has left him differently-abled since birth. In his own words Sowry gives his account of the shock he felt when he learnt about the family's condition. "I received a letter from Tina and I still remember the shock (I still have her letter) when Tina said Mohit was dead. As is always the case the tragedy hit the family even more with the severe spina bifeda that beset Fateh, his second son. Tina wants Fateh to have more independence as he gets older and the ability to self care to some extent and since one of the hospitals that can help with this training is in Australia she approached me," Sowry said. Sowry found out details and realised that they would need about 25,000 pounds in total. He decided to step in to help and built a fund-raising campaign called PUFF - Push Ups For Fateh. In the 23 days that the Tour De France takes place, he started doing four push-ups for every kilometre of the race. That meant for the 3,660 kilometres he did 14,642 push-ups in 18 days and raised 12,000 pounds, which is roughly half the funds required. This is when very few of Whigs close friends in India contributed to this cause. This is just such an inspiring story of friendship which proves that a true friend will be there for you when you are alive and when you are gone, when you are close and when you are far, when you have kept in touch and when you come for help even after years of being away. Great story! 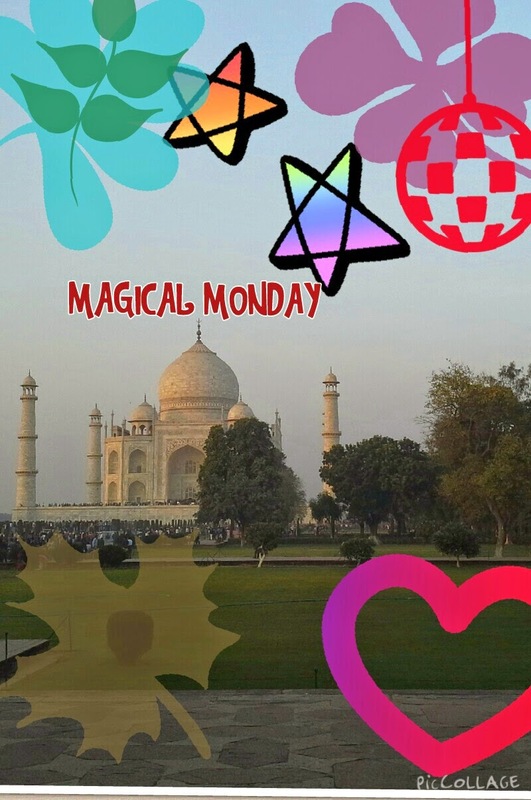 Keep turning mondays and every day into magical days! That is quite a way to raise funds! Pushups for every kilometer of a bike race sounds so difficult. But of course, we know how best we can contribute to a cause. Thank you so much for a great story! We need more like this specially during the start of the week! Great read. Mondays should always be started with inspirational stories like this. That's really a lot of push up but it's for a good cause. It's inspiring reading stories like this and it restores your faith to humanity. Such an inspiring story of friendship. Definitely should be magic Mondays too I agree. Great inspiring read! Great read to start the week indeed! Hope to read more like this soon! A very sad but inspiring story. A friend is always a friend when faith between them evolves. Lots of this kind of story around the world, but only kept inside their hearts. This is indeed an inspiring story. Nothing is more rewarding than to have a friend who would be there for you forever... even if you're gone. Someone who won't forget you and will continue to live your legacy. It's why I'm trying my best to be a good friend because I want to have a good friend in return. I love the concept of turning Mondays into something pleasant because as the beginning of the working week they are always accepted as something horrible, it reminds me of the song ''Tell me why I don't like Mondays'' A wonderful suggestion! This is such an interesting read! Very inspirational. This section of your blog is a great idea! Just another manic Monday - great story to share for the start of the week. Hope you will have a great week ! The Heart Beats the Mind Again!